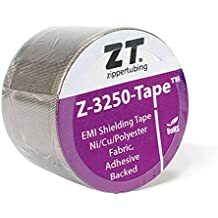 Zip Wrap Rph - Lightweight Jacketing - Wire And Cable Bundling - Products - ZT | Zippertubing Co. The perfect component protection solution for high-heat or extremely cold environments! Zip-Wrap® (RPH) is a medium weight, flexible, and rugged, complete 360° protection solution for wires, cables, hoses, and other components. Zip-Wrap® (RPH) can be customized to fit virtually any length and size, allowing for easy installation with a zipper closure system. 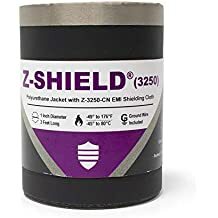 Zip-Wrap® (RPH) is comprised of a polyurethane-coated polyester outer jacketing material (RPH-14), combined with a heat resistant brass zipper closure. The RPH-14 material is a medium weight, highly flexible, durable polyurethane coated polyester fabric, which is resistant to wear, and high and extremely low temperatures. These materials are combined and sewn with high-temperature aramid Kevlar thread, resistant to bacteria and mildew. Together, these components provide strength and abrasion protection reinforcement for wires or cables and allow for a seamless installation and re-entry without the need for additional tooling. This product also has excellent versatility in both temperature ranges of -67°F to 356°F.